Selenium and vitamin E are essential in sheep diets, and work together to prevent and repair cell damage in the body. Deficiencies of either or both selenium and vitamin E can cause weaner illthrift, reduced wool production, reduced ewe fertility, reduced immune response and white muscle disease. Selenium deficiency is more common in high rainfall areas while vitamn E deficiency occurs when sheep are on dry feed for long periods. Both trace elements can be provided as a supplement. Why are selenium and vitamin E important in sheep diets? Selenium and vitamin E are essential in sheep diets. Selenium is a trace element which works with vitamin E to prevent and repair cell damage in the body. Selenium and vitamin E both play a role in immune function and are vital for growth, reproduction, and preventing white muscle disease. Selenium is found in the soil and taken up by plants. Sheep consume selenium with the plants they eat. Vitamin E is predominantly found in green feed. Both selenium and vitamin E are stored for a short period in the body, mainly in the liver, so a continual dietary supply of these nutrients ensures the best possible production. What conditions do selenium and/or vitamin E deficiencies cause? Deficiencies of either or both selenium and vitamin E can cause weaner illthrift, reduced wool production, reduced ewe fertility, reduced immune response and white muscle disease. In Western Australia, the most common manifestation of deficiency in one or both of these essential nutrients is white muscle disease. If only skeletal muscles are affected, this may result in an illthrift syndrome, but if heart muscle is affected there may be sudden deaths. Which sheep are most at risk? in lambs in winter-spring (selenium deficiency) when green feed is abundant, especially if born to selenium-deficient ewes. Rapidly growing lambs and weaner sheep are most at risk. These young animals have an increased demand for selenium and vitamin E for growth and have had less opportunity than adults to accumulate body reserves of the two. What causes sheep to become deficient? Vitamin E deficiency is widespread in weaner sheep flocks in WA over the long, dry summer–autumn period when green feed is scarce. 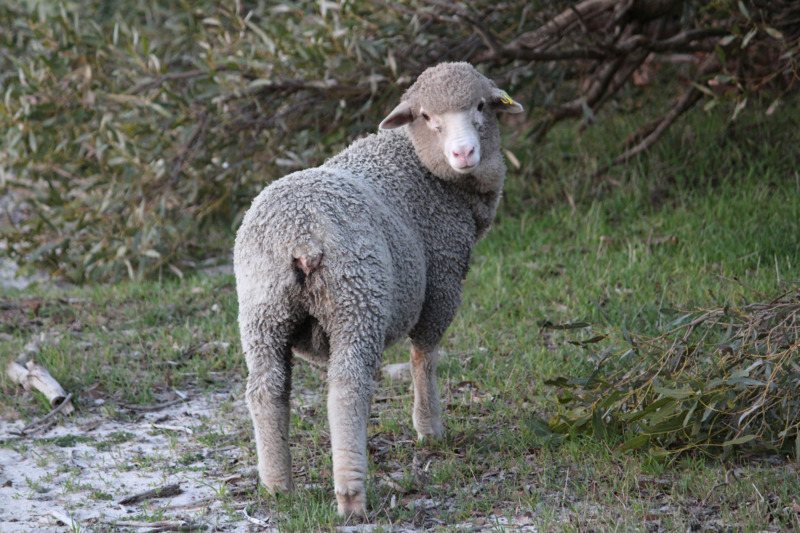 Late lambs which have grazed green feed for less than three months are most commonly affected. Vitamin E deficiency is often associated with feeding weaners for long periods (2–3 months) on dry feed, hay and grain with little or no access to green feed. Vitamin E reserves are depleted more rapidly on a high grain diet. What are the signs of selenium and/or vitamin E deficiencies? Early diagnosis of disease and treatment are essential to minimise production and stock losses. A veterinarian can help diagnose a selenium or vitamin E deficiency by collecting blood or post-mortem samples for laboratory analysis. The Department of Primary Industries and Regional Development, Western Australia (DPIRD) provides subsidised veterinary investigations for any livestock disease with high stock losses or similar disease signs to an exotic or reportable disease in order to increase the likelihood of early detection and to provide trading parners with evidence that we are free of particular diseases. For more information about disease investigation subsidies, see the webpage: Subsidised Disease Investigation Pilot Program. For a quick improvement when animals show visible signs of selenium deficiency, a drench or injection containing selenium is the usual treatment. For the correct dose rate and frequency of treatment for each product, read the label and check with your veterinarian. Note: Take care when giving multiple selenium supplements to avoid overdosing stock. Selenium can be fatal to lambs given an oral dose of one milligram of selenium per kilogram liveweight or an injection of 0.5mg/kg liveweight, so it is important to follow the directions on the product label. Drench deficient sheep with a vitamin E drench at 2000mg/sheep. This lasts about six weeks. 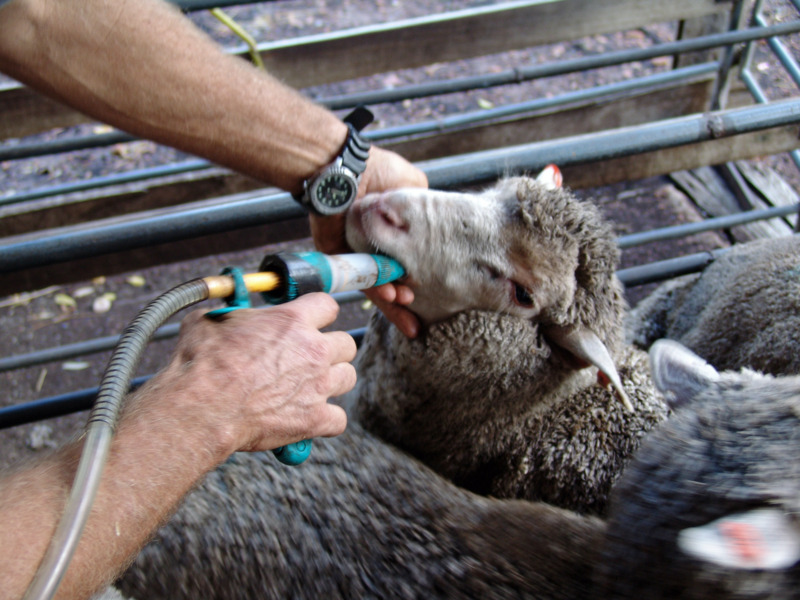 Severely affected sheep may require an additional dose 2–3 weeks after the first dose. If lupinosis is also affecting the sheep, then a 4000mg vitamin E drench is more effective. Where sheep are too weak to bring into the yard, apply a vitamin E powder to supplementary grain in the paddock to provide 2500–4000mg of vitamin E per sheep. Affected sheep will improve if they are moved onto a pasture containing green feed, such as a summer-active perennial. The vitamin E in the green feed generally corrects the deficiency within a week. How can I prevent my sheep from becoming deficient? feeding mineral supplements containing selenium as a supplementary block or lick (note that individual intake of these supplements can be very variable within a flock). To prevent vitamin E deficiency, give oral drenches 6–8 weeks after pasture senescence, and then every eight weeks until green feed becomes available. Providing grain treated with vitamin E is an alternative to drenching individual sheep. In summer and autumn, provide access to green fodder such as perennial pastures and shrubs. There are many reasons for illthrift with the most common being a protein or energy deficiency. Arthritic joints are usually swollen, unlike in white muscle disease. Arthritis may occur on the same or both sides. In white muscle disease lameness usually affects both sides. Note that lameness can occur with footrot and foot-and-mouth disease, so always have a vet investigate lameness in sheep to determine the cause. If you see unusual disease signs, abnormal behaviour or unexpected deaths in your stock, call your veterinarian or the local DPIRD veterinary officer or the Emergency Animal Disease hotline on 1800 675 888.